MEMS industry is facing major challenges, in particular to meet the needs of the IoT market. A significant fraction of the MEMS market, namely accelerometers, gyroscopes, pressures sensors and microphones, mostly rely on capacitive-detection devices. On one hand, the market demands a continuous miniaturization of such sensors, on another hand, capacitive MEMS will sooner or later not be able to be further shrunk, as the SNR of capacitive MEMS is degraded when scaling down their dimensions, due to unfavorable scaling laws. The IoT market also requires novel devices with enhanced and/or innovative functionality, lower power consumption, actuation capability, etc. Piezoelectric MEMS are very well suited to meet these requirements, either in the RF, actuators or sensors fields. My presentation will expose to what extent CEA-Leti’s MEMS activities are responding to these needs, either to replace Si-based capacitive devices by piezoresistive ones, or by proposing new concepts in terms of piezoelectric sensors, actuators and RF components. 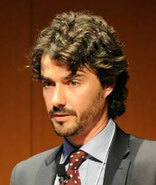 Julien Arcamone graduated from INSA Lyon in Materials Engineering in 2003 and received a PhD in Electronic Engineering in 2007 from CNM-IMB (CSIC) and the Autonomous University of Barcelona (Spain). Then, he spent several years as staff research scientist in the Micro and Nanosystems group at CEA-Leti within the Minatec Campus of Grenoble (France). His research area has been involving the design of MEMS and NEMS devices for advanced sensing and actuating applications, as well as the integration of nanomechanical devices with CMOS circuitry. Dr. Arcamone has authored or co-authored more than 50 peer-reviewed scientific publications, 1 book and is the co-inventor of 8 patents. In 2012, he was appointed Leti’s MEMS Business development manager. Since then, he has been launching various bilateral collaboration programs with major MEMS companies worldwide. He’s currently a member of IEEE MEMS conference’s TPC.